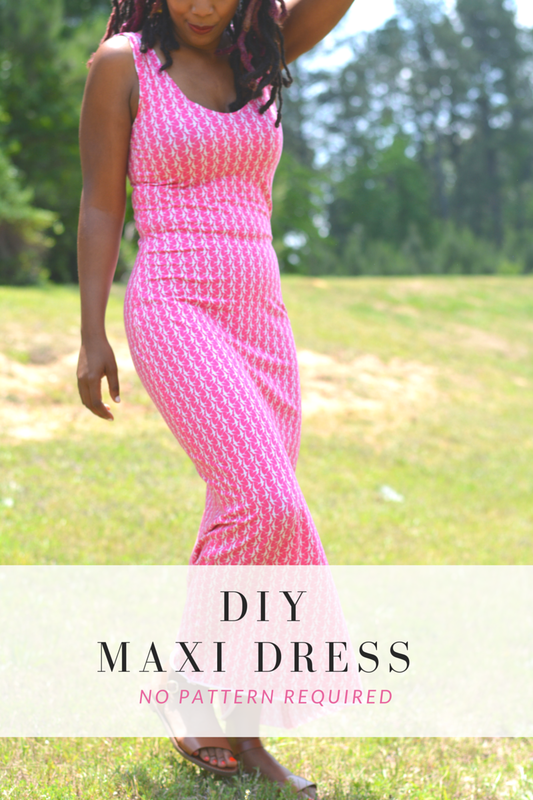 Make a few super simple, no pattern required maxi dresses to supplement your summer wardrobe. It can be a party dress. It can be a casual day dress. You can front tie a shirt and turn the dress into a skirt. 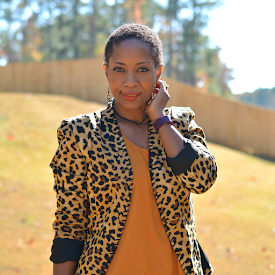 You can add a jacket over it all without bulk. 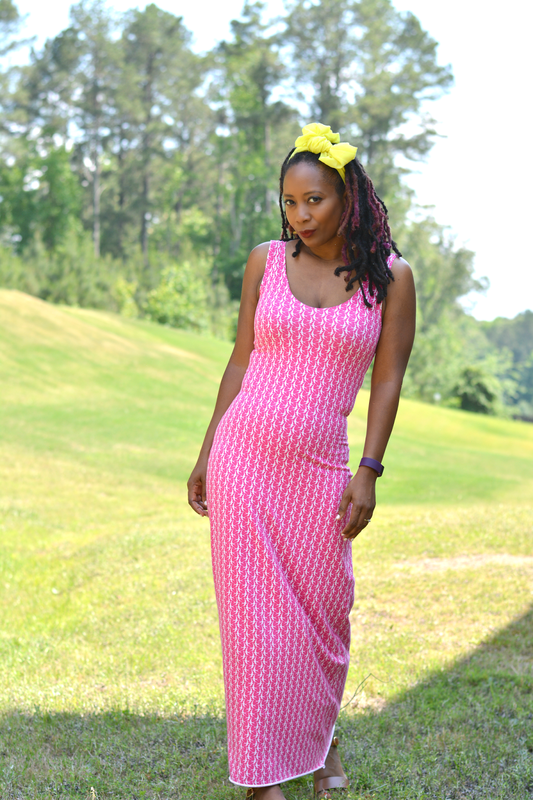 Besides versatility, a maxi dress is timeless and just plain comfortable to wear. Knits maxi dresses are perfect for travel too as there's little to no wrinkling. You can ball them up in your suitcase without worry. It's a great swimsuit coverup. It's cozy on long road trips. It can even be worn as a nightgown. It all just depends on the type of knit used. 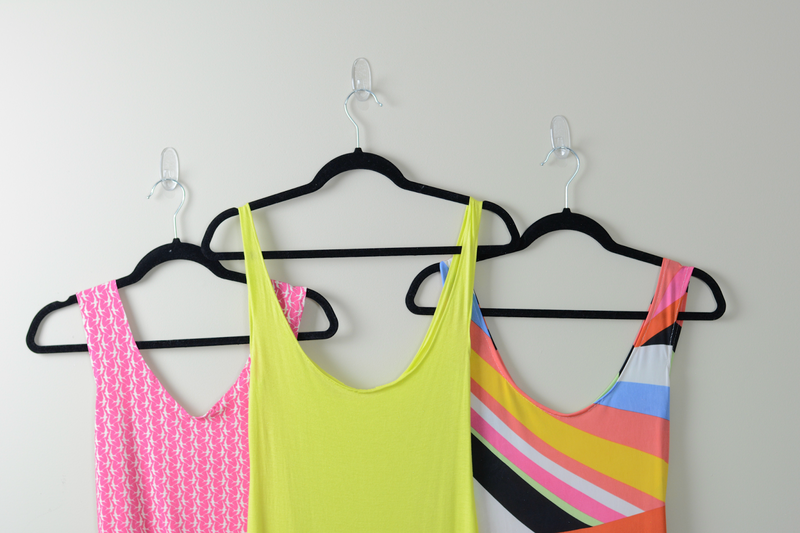 Last weekend, I banged out three in an effort to re-fill my almost bare wardrobe quickly and cheaply. 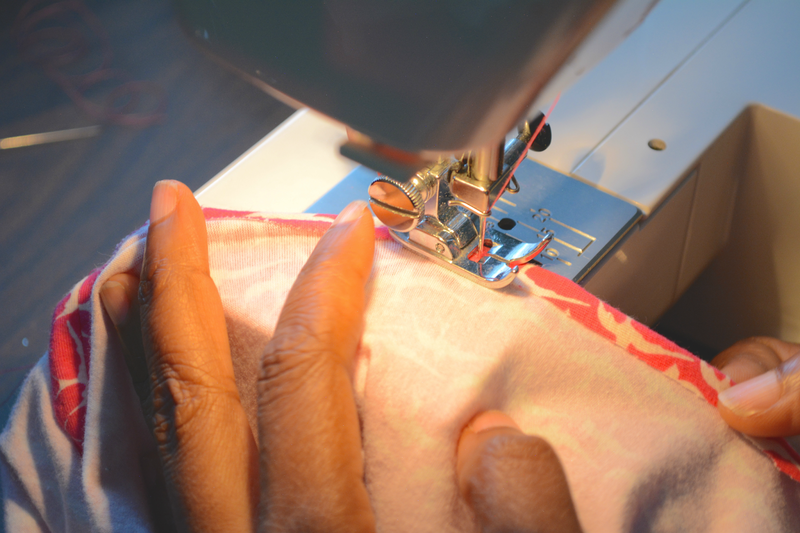 Sewing an easy garments gives me such a since of accomplishment. Each dress was about an hour to complete from first cut to last stitch. 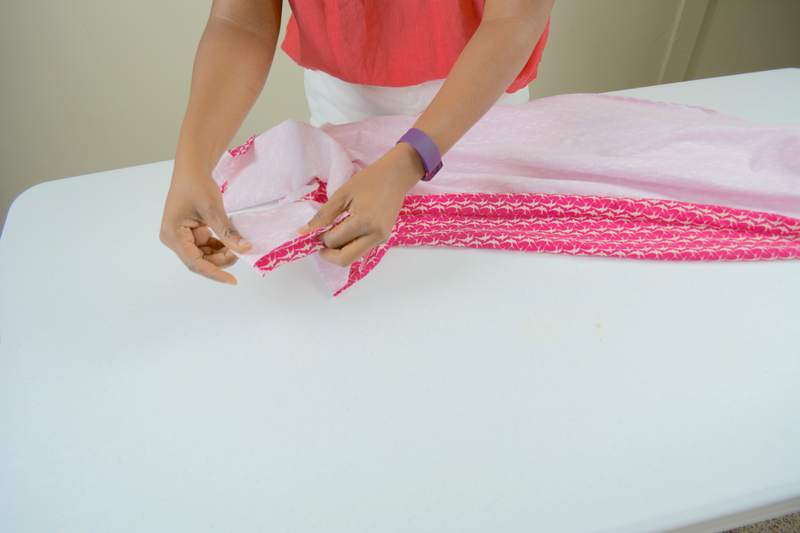 Since the fabric is stretchy, you don't have to be as precise with cutting as you have to be with a woven fabric. Plus, there are only four required seams to sew. 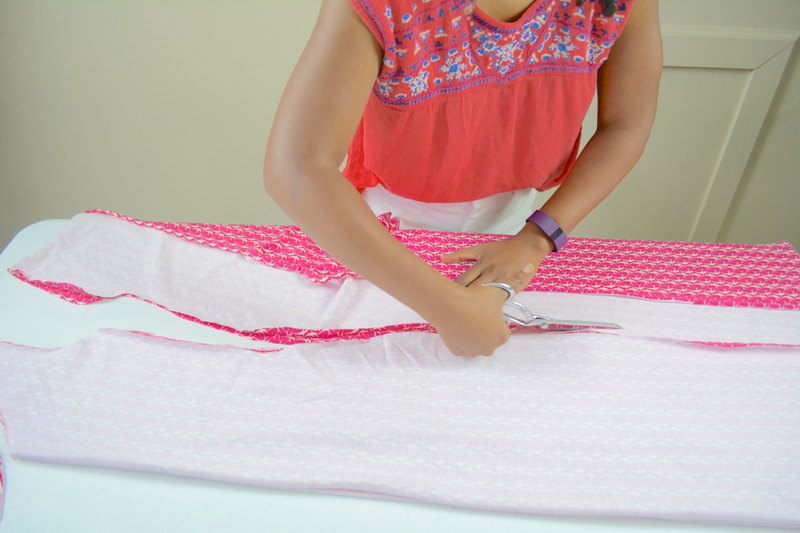 Step 1: Using tank and skirt as a template, cut fabric on the fold. 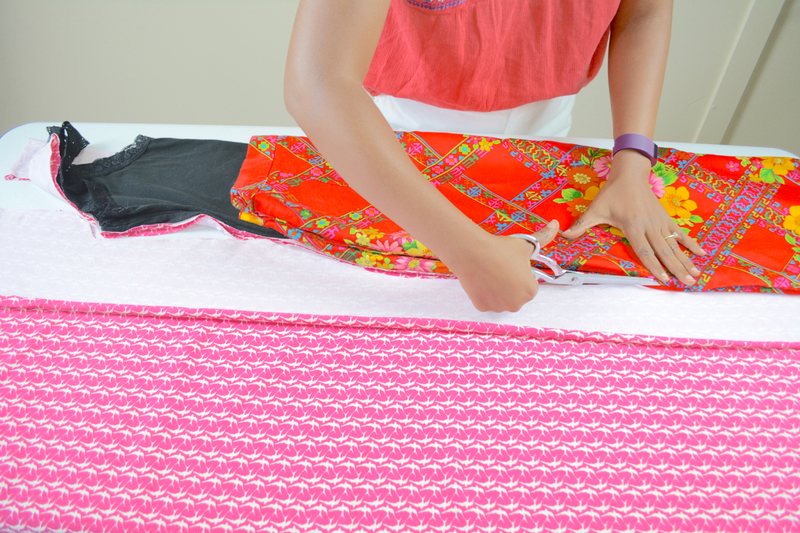 Match the waistlines of the tank and the skirt to create one long pattern piece. Cut about ½ away from the pattern to have room for seams and finishing. Step 2: Place the cut piece on top of other fabric fold and cut around it. Step 3: Place the two cut pieces together. Right sides together. Step 4: Sew side seams together. Sew shoulder seams together. Step 5: Fold the armhole raw edges in about a ¼" and sew. Repeat for the neckline. Step 6: Sew hem. I skipped this step because I did. Done. Do you wear maxi dresses in summer?